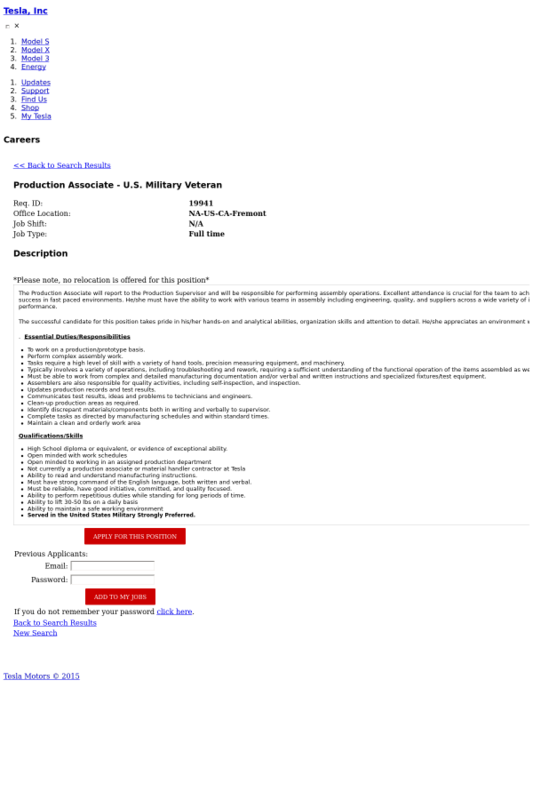 The Production Associate will report to the Production Supervisor and will be responsible for performing assembly operations. Excellent attendance is crucial for the team to achieve success. The ideal candidate has a proven record of success in fast paced environments. He/she must have the ability to work with various teams in assembly including engineering, quality, and suppliers across a wide variety of issues/ corrective actions identified in production and field performance. To work on a production/prototype basis. Tasks require a high level of skill with a variety of hand tools, precision measuring equipment, and machinery. Typically involves a variety of operations, including troubleshooting and rework, requiring a sufficient understanding of the functional operation of the items assembled as well as the finished product. Must be able to work from complex and detailed manufacturing documentation and/or verbal and written instructions and specialized fixtures/test equipment. Assemblers are also responsible for quality activities, including self-inspection, and inspection. Updates production records and test results. Communicates test results, ideas and problems to technicians and engineers. Clean-up production areas as required. Complete tasks as directed by manufacturing schedules and within standard times. Must have strong command of the English language, both written and verbal. Served in the United States Military Strongly Preferred.